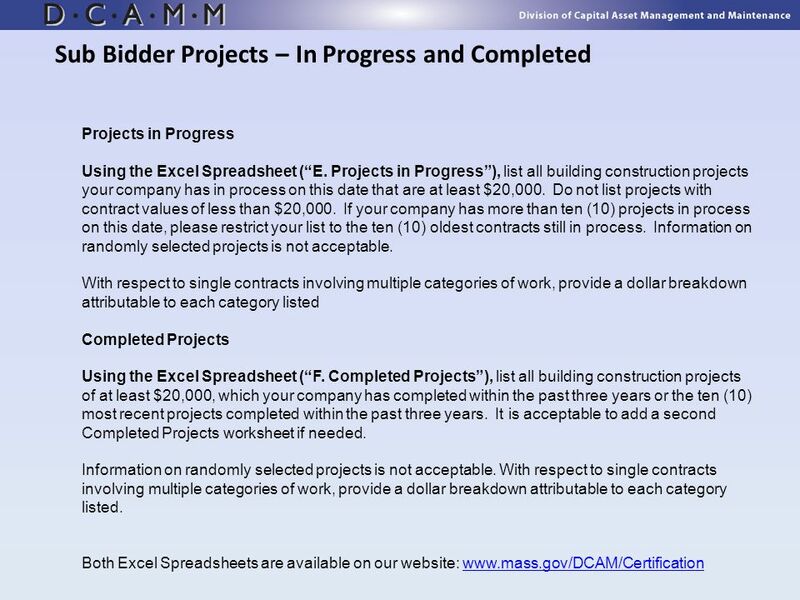 How do I Bid on Public Projects? 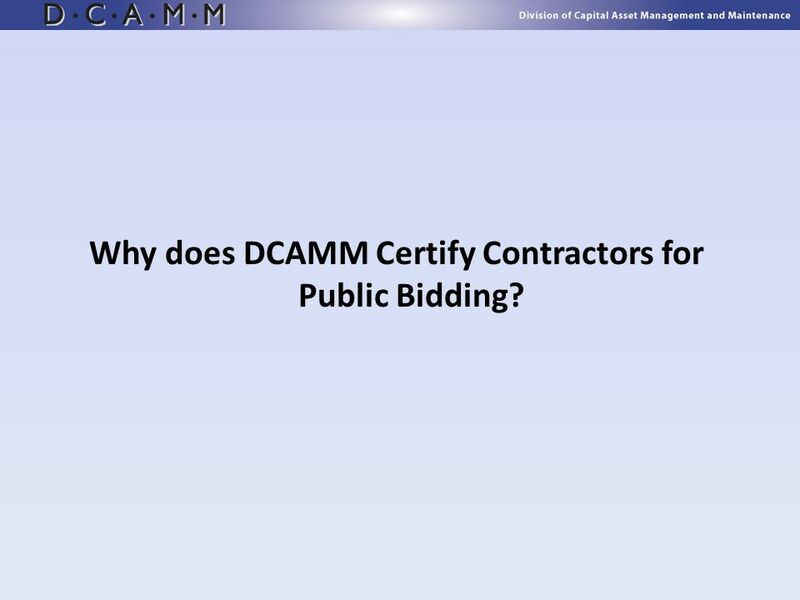 2 Why does DCAMM Certify Contractors for Public Bidding? 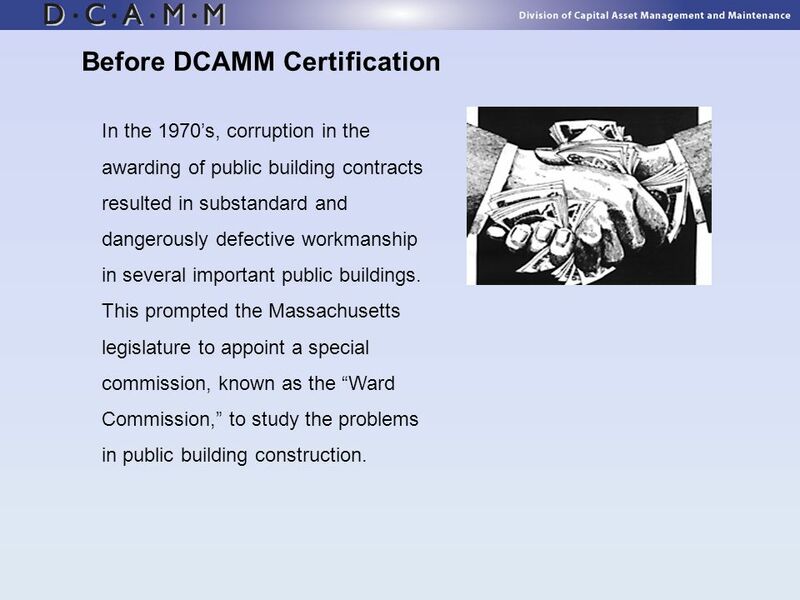 In the 1970’s, corruption in the awarding of public building contracts resulted in substandard and dangerously defective workmanship in several important public buildings. 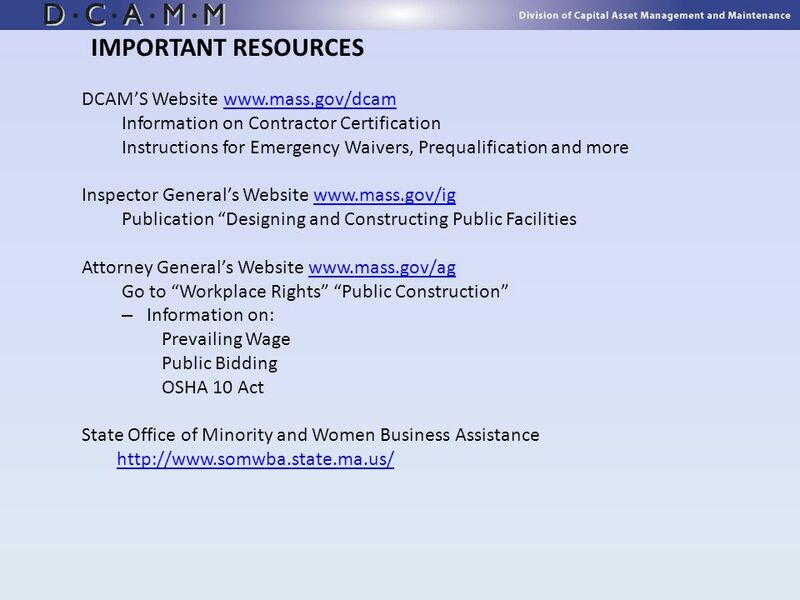 This prompted the Massachusetts legislature to appoint a special commission, known as the “Ward Commission,” to study the problems in public building construction. 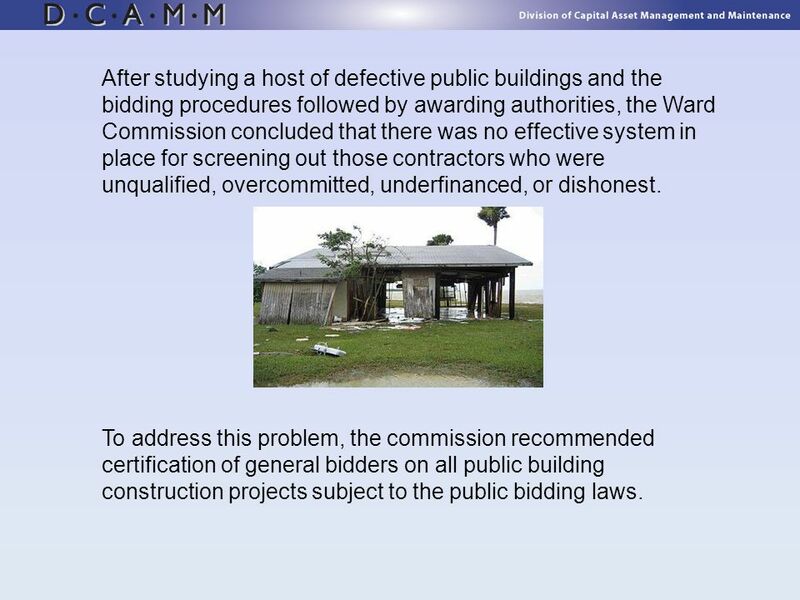 4 After studying a host of defective public buildings and the bidding procedures followed by awarding authorities, the Ward Commission concluded that there was no effective system in place for screening out those contractors who were unqualified, overcommitted, underfinanced, or dishonest. 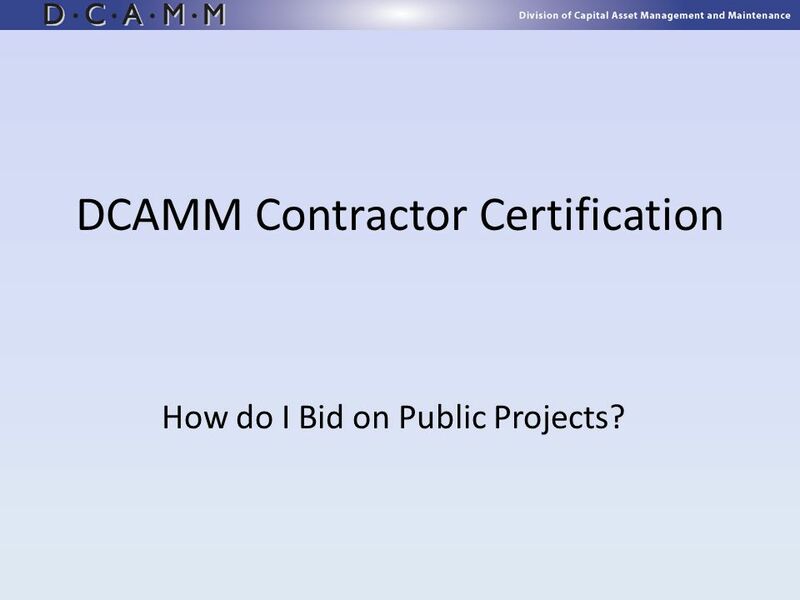 To address this problem, the commission recommended certification of general bidders on all public building construction projects subject to the public bidding laws. 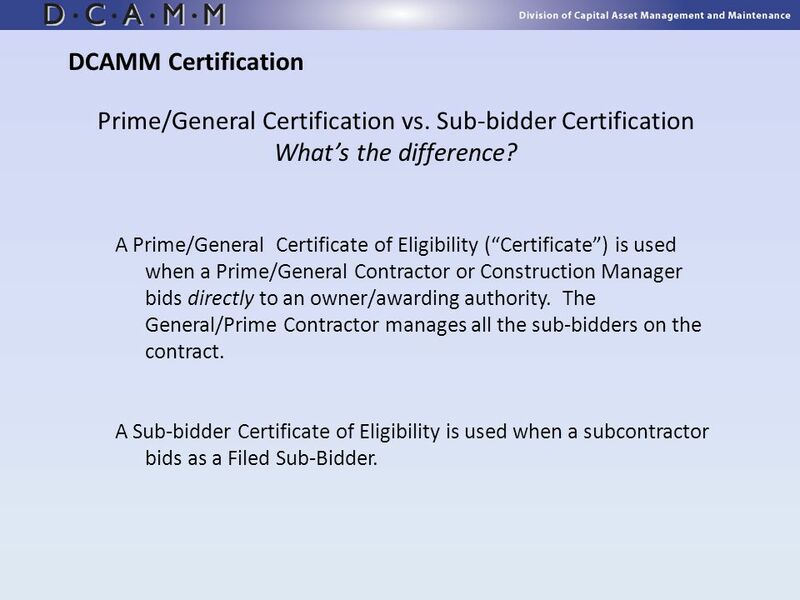 5 DCAMM Certification Prime/General Certification vs. Sub-bidder Certification What’s the difference? 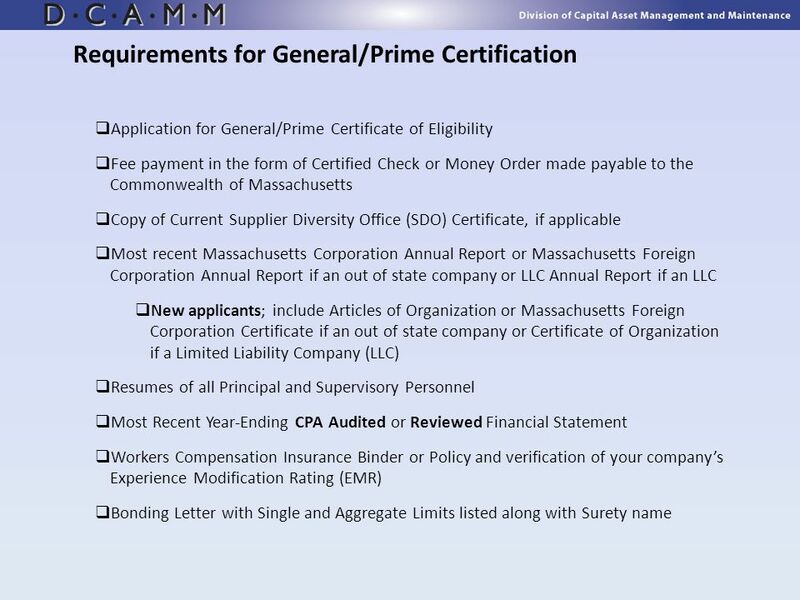 A Prime/General Certificate of Eligibility (“Certificate”) is used when a Prime/General Contractor or Construction Manager bids directly to an owner/awarding authority. 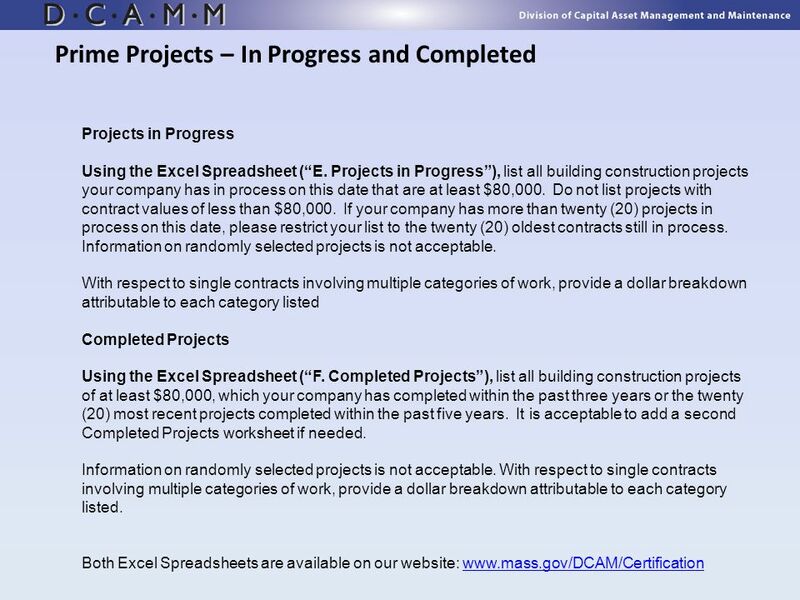 The General/Prime Contractor manages all the sub-bidders on the contract. 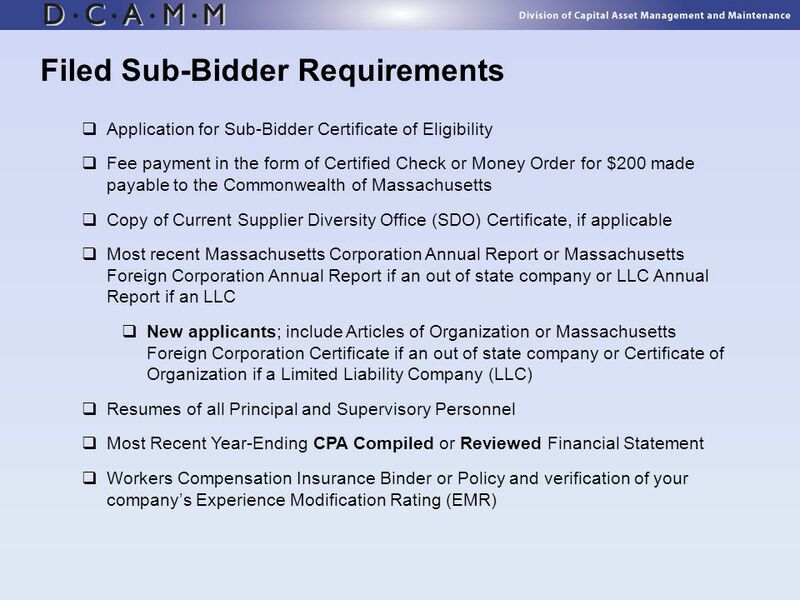 A Sub-bidder Certificate of Eligibility is used when a subcontractor bids as a Filed Sub-Bidder. 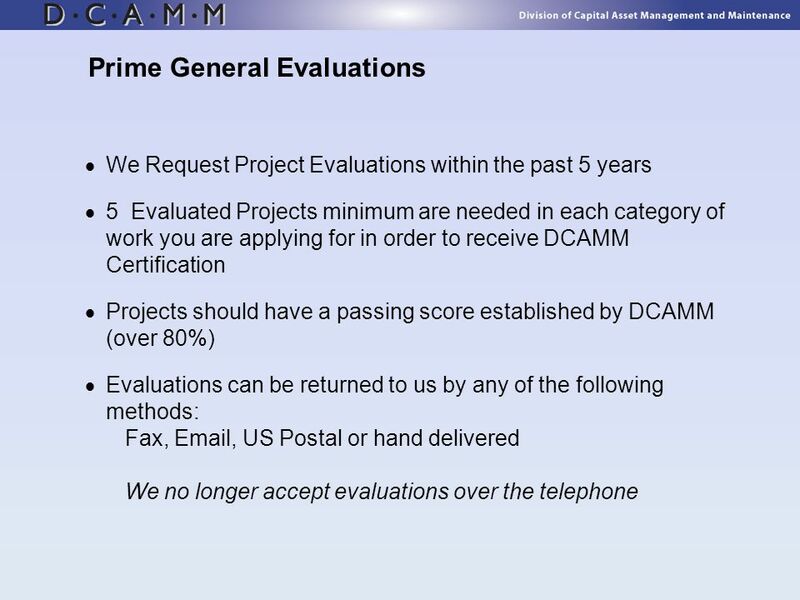 6 When is a DCAMM Prime/General Certificate* Required? 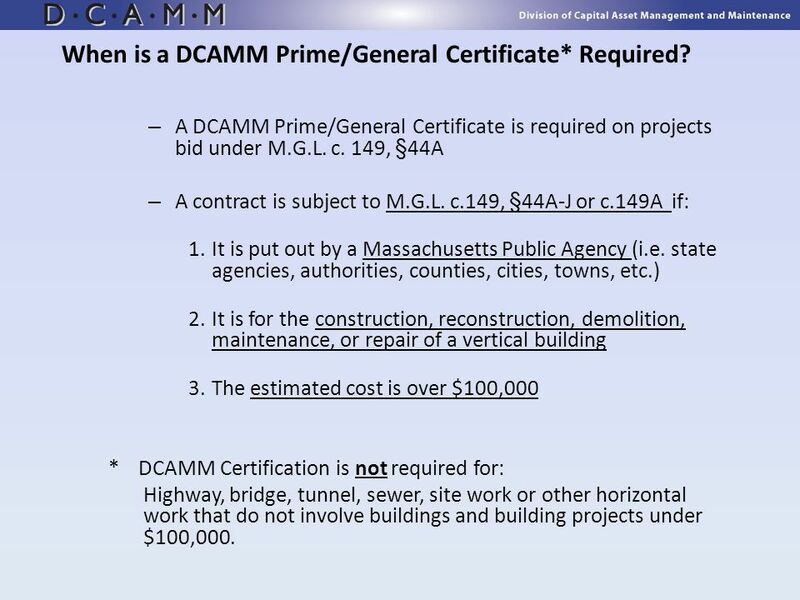 A DCAMM Prime/General Certificate is required on projects bid under M.G.L. c. 149, §44A A contract is subject to M.G.L. c.149, §44A-J or c.149A if: It is put out by a Massachusetts Public Agency (i.e. state agencies, authorities, counties, cities, towns, etc.) 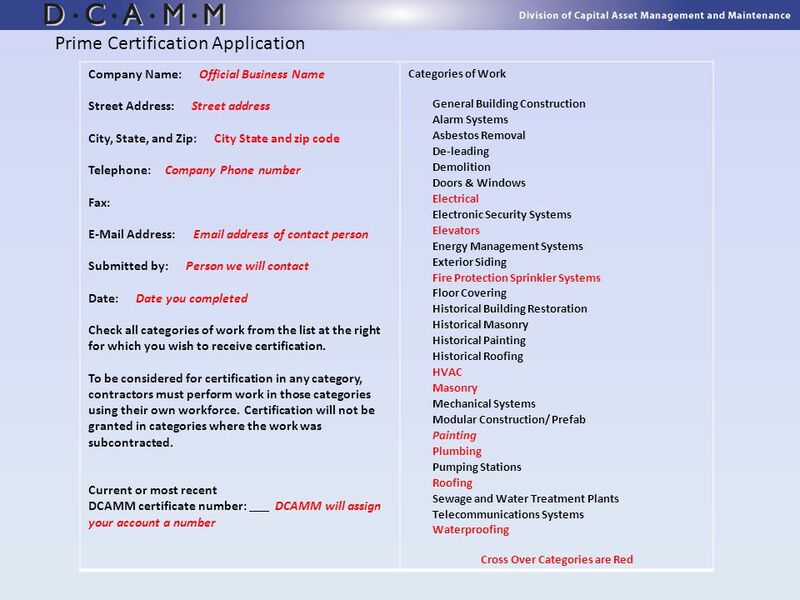 It is for the construction, reconstruction, demolition, maintenance, or repair of a vertical building The estimated cost is over $100,000 DCAMM Certification is not required for: Highway, bridge, tunnel, sewer, site work or other horizontal work that do not involve buildings and building projects under $100,000. 9 To be a Filed Sub-Bidder? 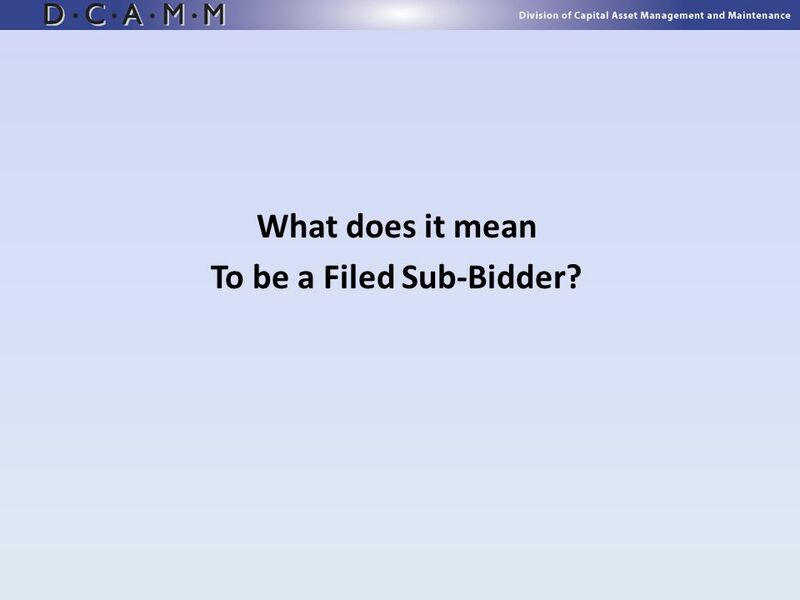 What does it mean To be a Filed Sub-Bidder? 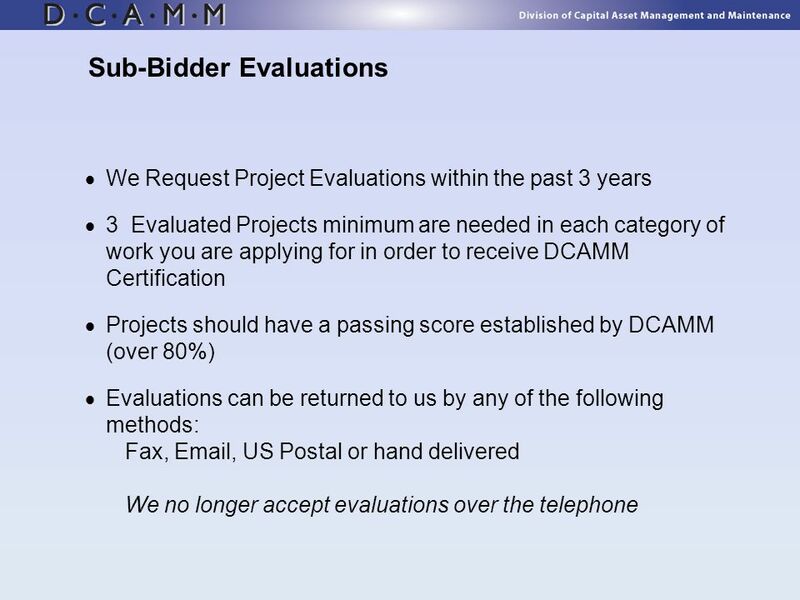 When is a DCAMM Sub-Bidder Certificate Required? 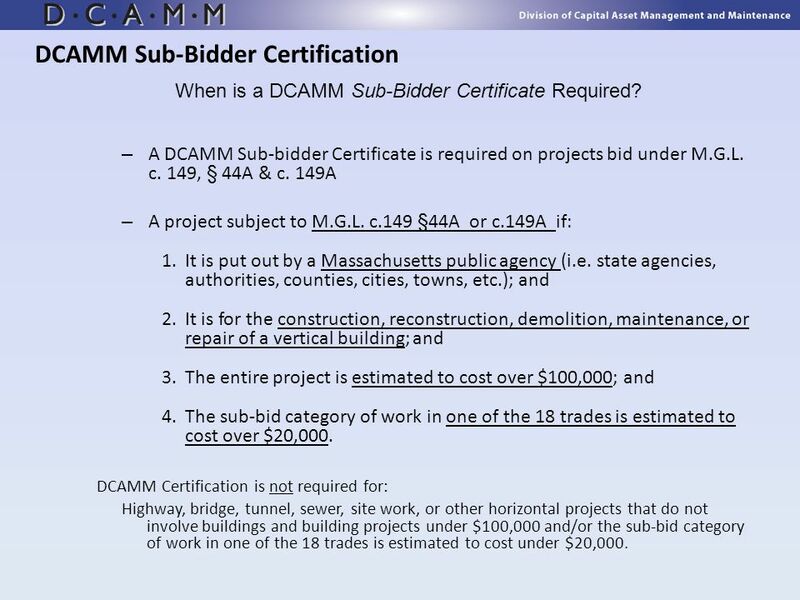 A DCAMM Sub-bidder Certificate is required on projects bid under M.G.L. c. 149, § 44A & c. 149A A project subject to M.G.L. c.149 §44A or c.149A if: It is put out by a Massachusetts public agency (i.e. state agencies, authorities, counties, cities, towns, etc. 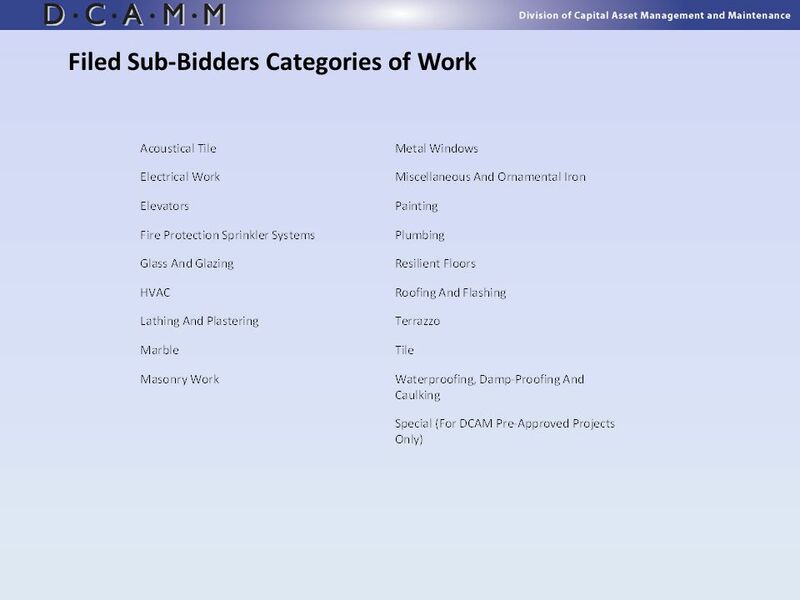 ); and It is for the construction, reconstruction, demolition, maintenance, or repair of a vertical building; and The entire project is estimated to cost over $100,000; and The sub-bid category of work in one of the 18 trades is estimated to cost over $20,000. 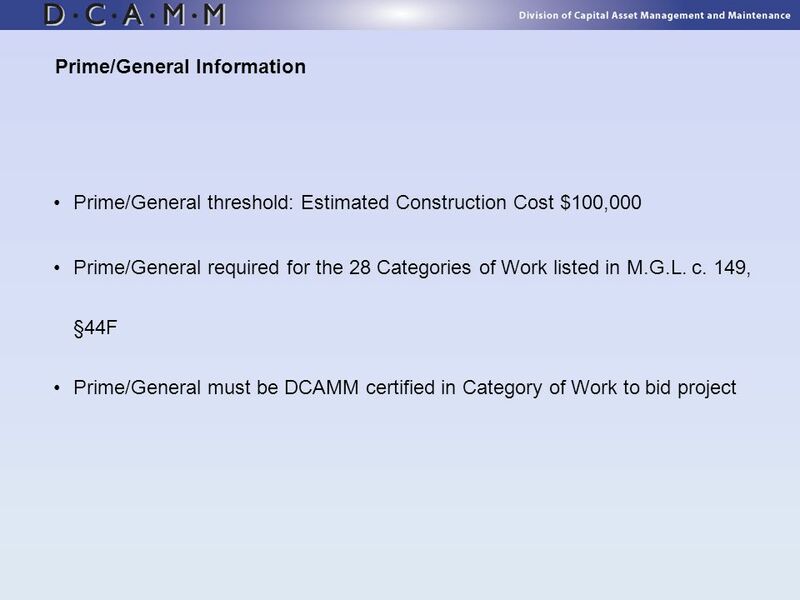 DCAMM Certification is not required for: Highway, bridge, tunnel, sewer, site work, or other horizontal projects that do not involve buildings and building projects under $100,000 and/or the sub-bid category of work in one of the 18 trades is estimated to cost under $20,000. 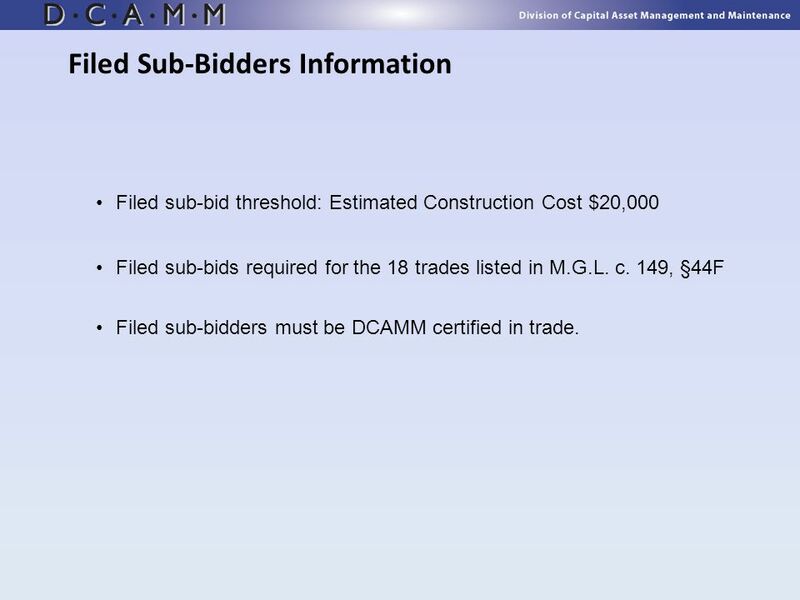 Filed sub-bid threshold: Estimated Construction Cost $20,000 Filed sub-bids required for the 18 trades listed in M.G.L. 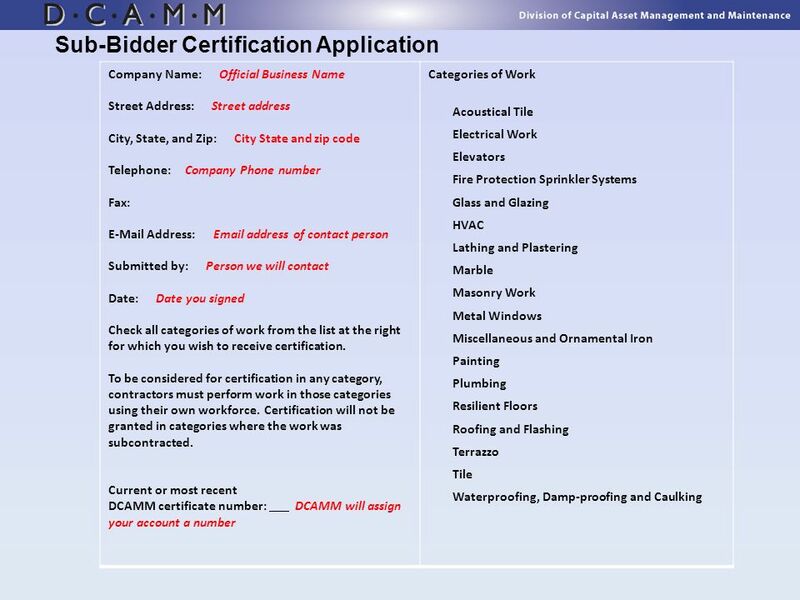 c. 149, §44F Filed sub-bidders must be DCAMM certified in trade. 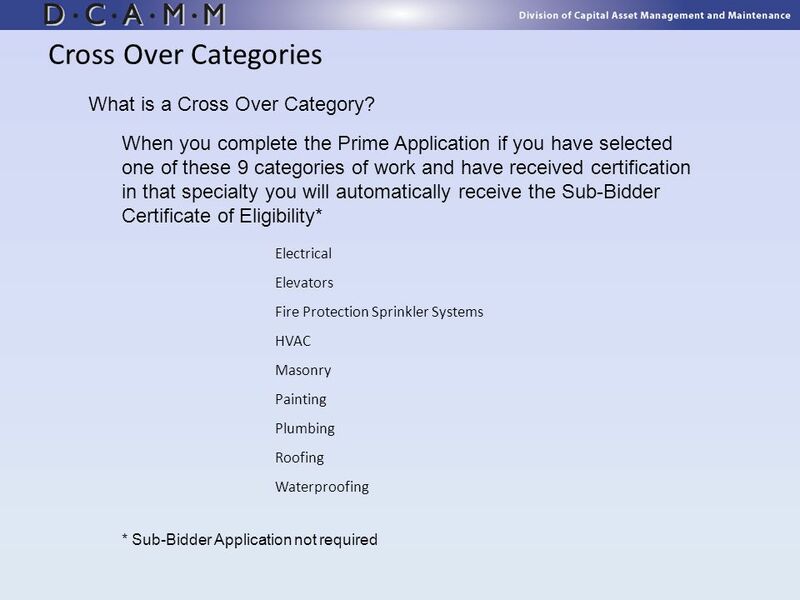 16 Cross Over Categories What is a Cross Over Category? 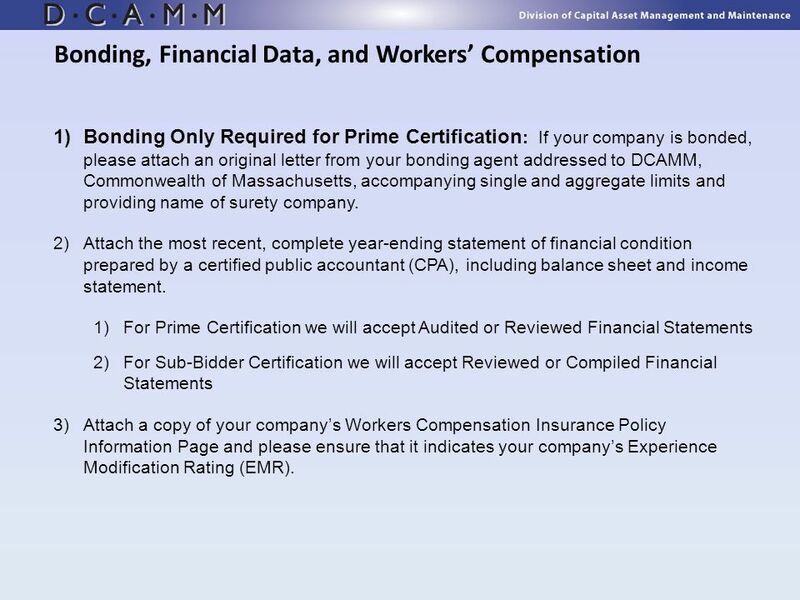 Bonding Only Required for Prime Certification: If your company is bonded, please attach an original letter from your bonding agent addressed to DCAMM, Commonwealth of Massachusetts, accompanying single and aggregate limits and providing name of surety company. 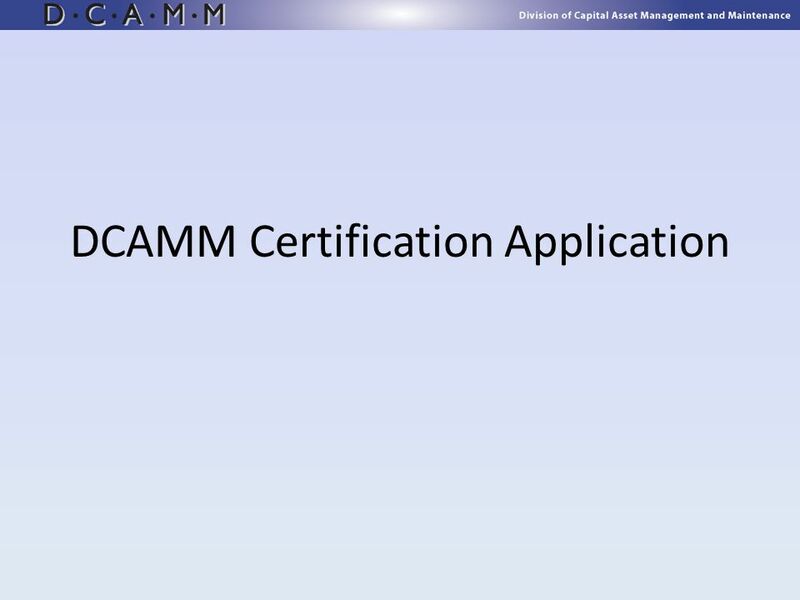 Attach the most recent, complete year-ending statement of financial condition prepared by a certified public accountant (CPA), including balance sheet and income statement. 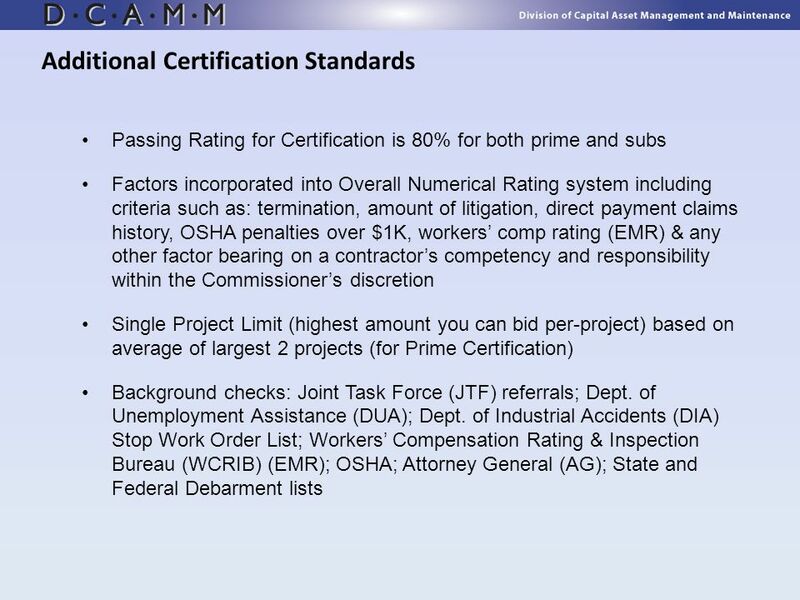 For Prime Certification we will accept Audited or Reviewed Financial Statements For Sub-Bidder Certification we will accept Reviewed or Compiled Financial Statements Attach a copy of your company’s Workers Compensation Insurance Policy Information Page and please ensure that it indicates your company’s Experience Modification Rating (EMR). The form must be completed and signed by the following: Individual at Awarding Authority (AA) who is most knowledgeable about the construction phase of the project. 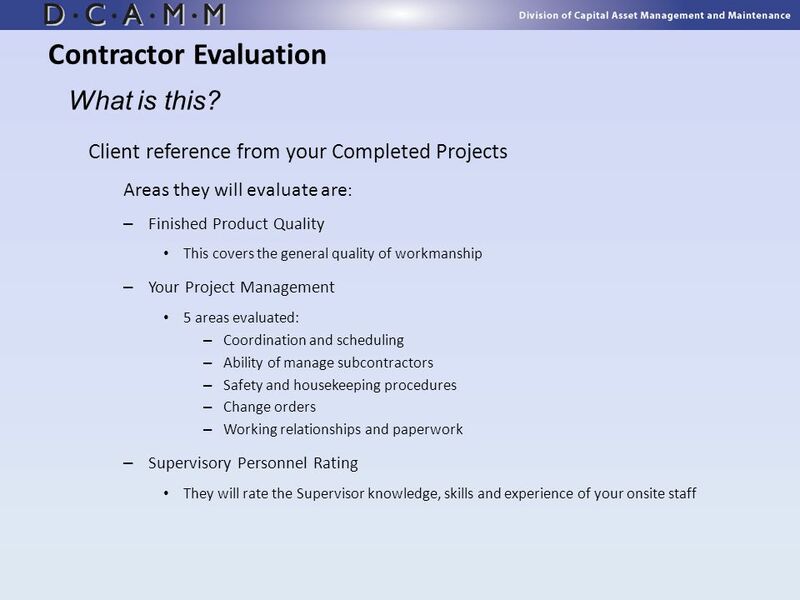 For public projects under $1.5M only official at Awarding Authority must sign Contractor Evaluation. At Awarding Authority’s discretion, the AA’s Representative may sign the Evaluation too. No separate evaluation to be submitted. 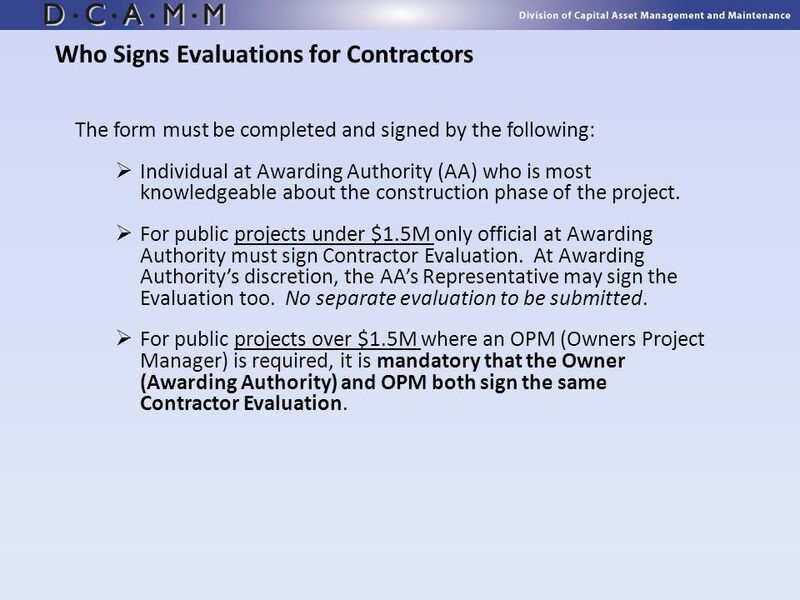 For public projects over $1.5M where an OPM (Owners Project Manager) is required, it is mandatory that the Owner (Awarding Authority) and OPM both sign the same Contractor Evaluation. 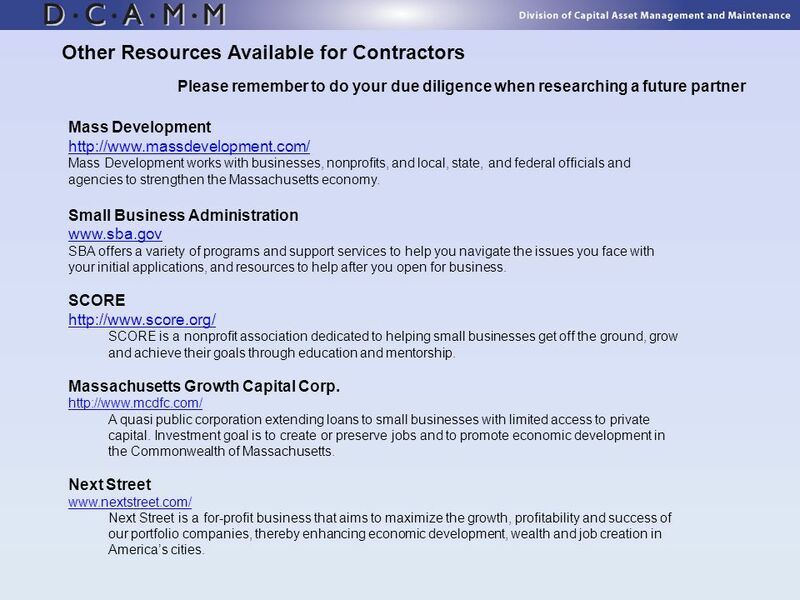 Please remember to do your due diligence when researching a future partner Mass Development Mass Development works with businesses, nonprofits, and local, state, and federal officials and agencies to strengthen the Massachusetts economy. Small Business Administration SBA offers a variety of programs and support services to help you navigate the issues you face with your initial applications, and resources to help after you open for business. SCORE SCORE is a nonprofit association dedicated to helping small businesses get off the ground, grow and achieve their goals through education and mentorship. Massachusetts Growth Capital Corp. A quasi public corporation extending loans to small businesses with limited access to private capital. Investment goal is to create or preserve jobs and to promote economic development in the Commonwealth of Massachusetts. Next Street Next Street is a for-profit business that aims to maximize the growth, profitability and success of our portfolio companies, thereby enhancing economic development, wealth and job creation in America’s cities. 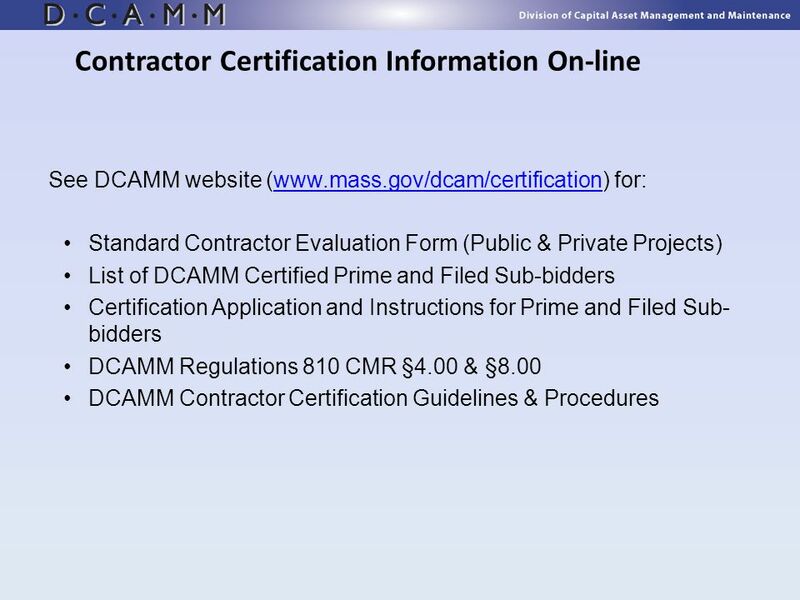 Download ppt "DCAMM Contractor Certification"
How to Find and Utilize Minority and Womens Business Enterprises Indiana Department of Administration Minority and Womens Business Enterprises Division. 1.1Definition of Construction:. Is the process by which material, equipment, machinery are assembled into a permanent facility. Is the process by which. How Much Do You Know? Consultants -- Test Your Knowledge! Civil Rights Requirements on Federal-Aid Transportation Agreements How Much Do You Know? 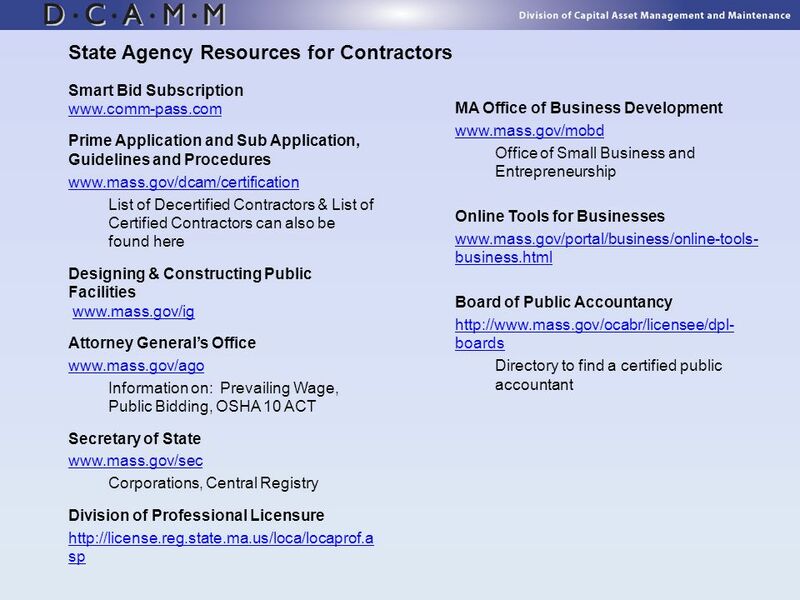 How you can become a licensed contractor. Step # 1 Know The Law First and most importantly, it is against the law to work in the construction trades without. Performance Contract Training July Performance Contracts A Performance Contract is an obligation to pay for non-employee services rendered. Verify. New York City Department of Education Charter Matching – Facilities Upgrades/ Capital Improvements – FY 2014. 11/4/2008 KUEGLER ASSOCIATES, LLC DESIGNED RIGHT = BUILT RIGHT. Historically Underutilized Business Program Texas Department of Insurance Special Deputy Receiver Program January 2008. Application. Objective The objective of The Port Authority of New York and New Jersey ’ s Mentor-Prot é g é Program is to increase the number of Port. MDA Disaster Recovery Division Section 3 Program Training on Section 3 Requirements Section 3 Requirements Sponsored by the Mississippi Development Authority. “Opening the Door to Bonding” U.S. Small Business Administration Surety Bond Guarantee Program. WONDERFUL COMPANY, LLC SAMPLE Corporate Capability Statement Principal Name Address City, State, Zip Code Phone: Fax: If applicable – list. December 9, 2014 San Diego County Office of Education ESFG Meeting Tyree Dorward:Attorney, Best, Best, & Krieger Guiselle Carreon: Commercial Warrants. 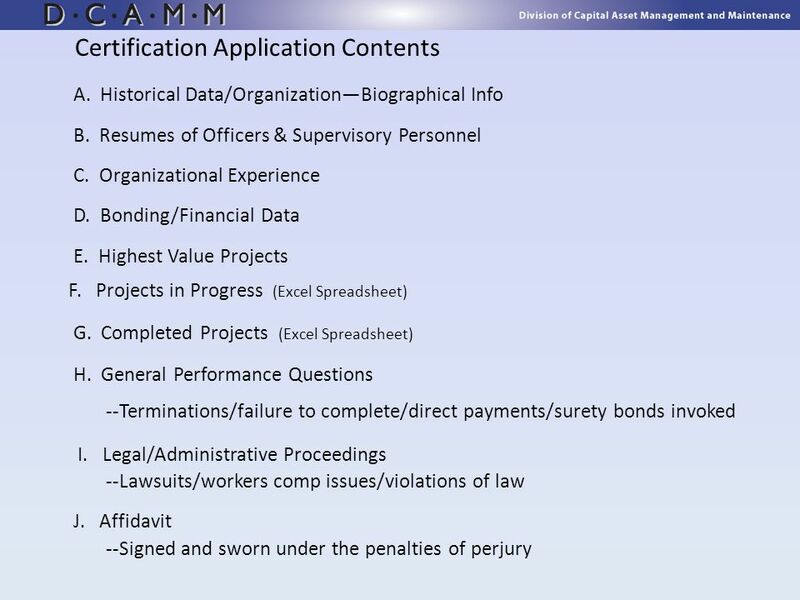 Nabil dmaidi1 Miller Act H Enacted in 1935 H Federal Contracts over $25,000 H Contractor shall provide Bonds H Performance Bonds in the amount to protect. Section 3 Steed Robinson – Office of Community Development  9/4/2014. 1 U.S. Small Business Administration Surety Bond Guarantee Program for Small Businesses.